This toy meets the requirements of the Directive 2009/48/EC of the European Parliament and the Council of 18 June 2009 on the safety of toys and all legal standards in accordance with the Czech legislation. The CE declaration of conformity is a matter of course. 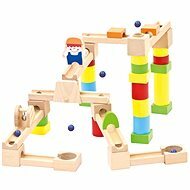 For shipping to other EU countries visit this page Marble Run - Marble race deluxe. 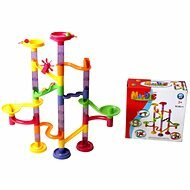 Für Versand nach Deutschland, besuchen Sie bitte Marble Race Deluxe. Chcete doručit zboží do Česka? Prohlédněte si Kuličková dráha - Marble race deluxe. Chcete doručiť tovar na Slovensko? Prezrite si Guľôčková dráha – Marble race deluxe. 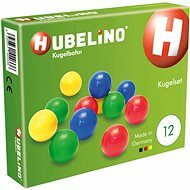 Für Versand nach Österreich, besuchen Sie bitte Marble Race Deluxe. Magyarországra történő kiszállításért tekintse meg ezt a termékoldalt: Marble Race Deluxe golyópálya.